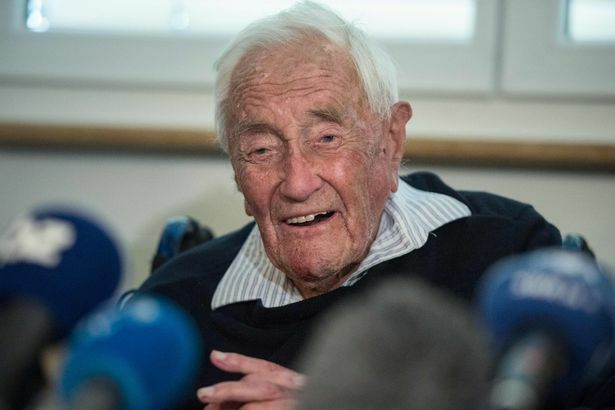 The 104-year-old scientist who flew to Switzerland to end his life via an assisted suicide clinic has died peacefully. British-born David Goodall died earlier today to the sound of Beethoven’s 9th symphony. The academic had travelled all the way from his home in Perth, Australia, where he had lived since 1948, to the European country which is known for its progressive attitude toward citizens having the right to die, The Mirror reports. 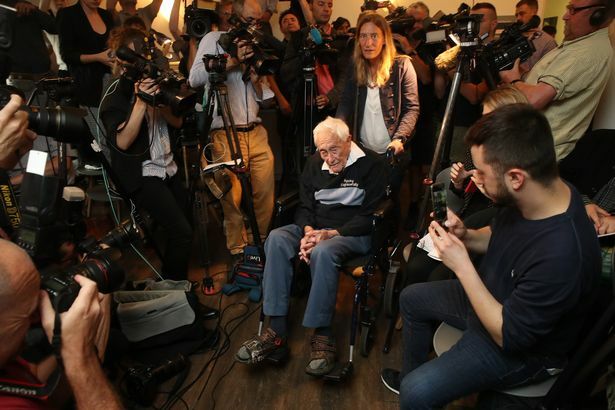 Sky News reporter Michelle Clifford, who had been following Goodall in his final weeks, tweeted that he joked ‘What are we waiting for?’ while his family filled out witness forms. She said the doctor ate fish and chips and cheesecake for his final meal and was in high-spirits the morning of his death. I greatly regret having reached that age. I’m not happy. I want to die. It’s not sad particularly. What is sad is if one is prevented. One should be free to choose death, when death is at an appropriate time. My abilities have been in decline over the past year or two, my eyesight over the past six years. I no longer want to continue life. I’m happy to have the chance tomorrow to end it. I am happy to have this chance though I would have preferred to have it in Australia. And I am greatly bereft that Australia is behind Switzerland in this move. It was just the beginning of the end. He didn’t get to see the same colleagues and friends any more at the old office. He just didn’t have the same spirit and he was packing up all his books. It was the beginning of not being happy any more. He’s an independent man. He doesn’t want people around him all the time, a stranger acting as a carer. He doesn’t want that. He wants to have intelligent conversation and still be able to do the same things like catching the bus into town. The public debate for assisted suicide still rages on not just in Australia but the UK too. We believe the right law for the UK is one that allows dying people, with six months or less to live the option to control their death. We do not support a wider law.